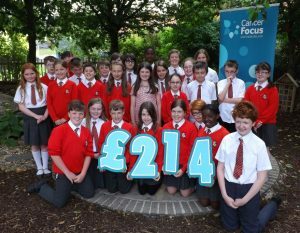 There are lots of ways schools and youth groups can get involved and raise funds for Cancer Focus NI. Whether it’s an interactive storytelling session, non-uniform day, coffee party, sponsored walk or a sports day, you’ll have fun and help to support people affected by cancer in your local community. Nursery school children can get into the fundraising spirit by holding a Big Picnic Party for our Family Support service . This is a fun opportunity for early year pupils to bring their favourite teddy bear or blanket to school and learn about healthy eating. 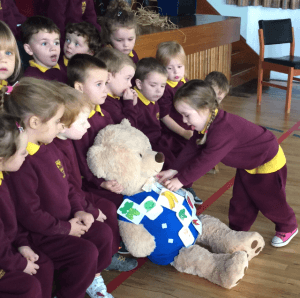 Bernard the Bear, from our nursery schools’ programme , can also come along to teach children about healthy eating and taking care in the sun. 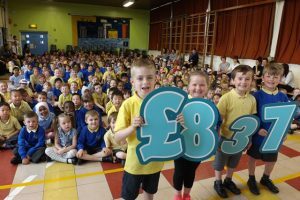 Fundraising in primary schools can be a great way for pupils to learn about helping people in their local community. By supporting Cancer Focus NI, pupils and staff can raise much needed funds for our Family Support service . Through our schools’ programme we can also teach primary school pupils about being healthy in a fun and exciting way. Our programme supports the Northern Ireland Curriculum and provides for children from nursery school age to P7. For more information contact schools@cancerfocusni.org or call 028 9066 3281. If your school would like to fundraise for Cancer Focus NI why not organise a Dot Day? 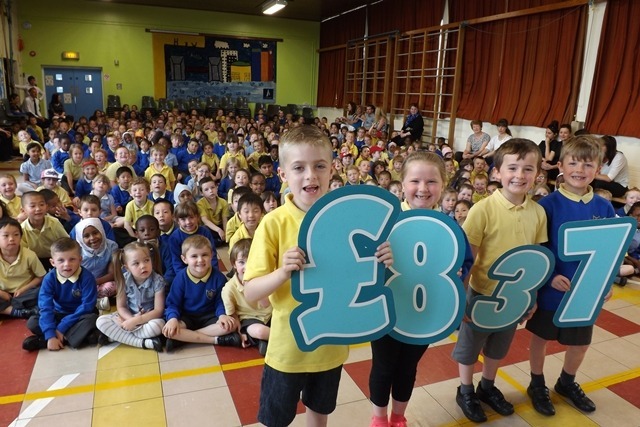 A Dot Day is a date in the school calendar when pupils and staff are encouraged to reflect on the impact of cancer in our community, think about making healthy lifestyle choices to help prevent cancer and raise funds for our work. Thanks to Loreto Grammar and Christian Brothers’ Grammar in Omagh and Cinemagic for helping with our Dot Day video. If you’d like a Dot Day fundraising pack email fundraising@cancerfocusni.org or download a Dot Day booklet . We can also support your Dot Day by providing help, materials, PR and merchandise, and give you some practical fundraising hints and tips. To book a member of our Cancer Prevention team to give a cancer awareness talk to your post primary students, contact 028 9068 3281 or schools@cancerfocusni.org. If your school or youth group would like to organise a fundraising event for Cancer Focus NI, contact our fundraising team on fundraising@cancerfocusni.org or 028 9066 3281.